Discover the largest academic visual arts publisher in the world! 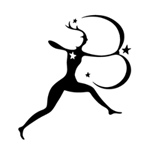 Brands you can trust: Fairchild Books offering practical, visually stimulating textbooks, and Bloomsbury, offering quality scholarly publishing. 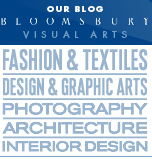 This blog represents the hub of Bloomsbury Visual Art’s growing web presence, with which we can discuss forthcoming titles and encourage feedback, post additional content from our authors, editors and designers, and draw your attention to the things we like. To see a full listing of our content, along with sample pages and reviews from academics all over the world, please visit www.bloomsbury.com/academic. The Painter’s Studio Handbook by Simon Fletcher. Bloomsbury Academic Publications. accessible means towards the development of their own style. The book targets first year painting students who are often given no technical instruction and often have only their time in the ‘A’ level art room to guide them but it would also be invaluable for part time or leisure painters with little or no previous knowledge or experience and with their time limited by part time work, an adolescent family etc..